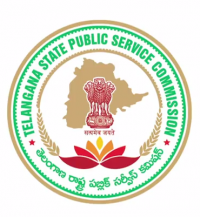 TSPSC Beverages Results 2018: Telangana State Public Service Commission (TSPSC) has conducted Examination for various posts in Telangana State Beverages Corporation Limited on 7th October. Now Candidates are Eagerly waiting For TSPSC Beverages Results, Merit List PDF 2018. Today, TSPSC have been Announced Beverages Selected Candidates Merit list at tspsc.gov.in. Candidates can download TSPSC Beverages Result, Merit list PDF from the TSPSC official website, tspsc.gov.in. Now click on the “TSPSC Beverages Result, Merit List” link on the homepage. Merit List PDF will be displayed on the Screen. Take a print out and check the result. Can u tell me wts the next process sir..